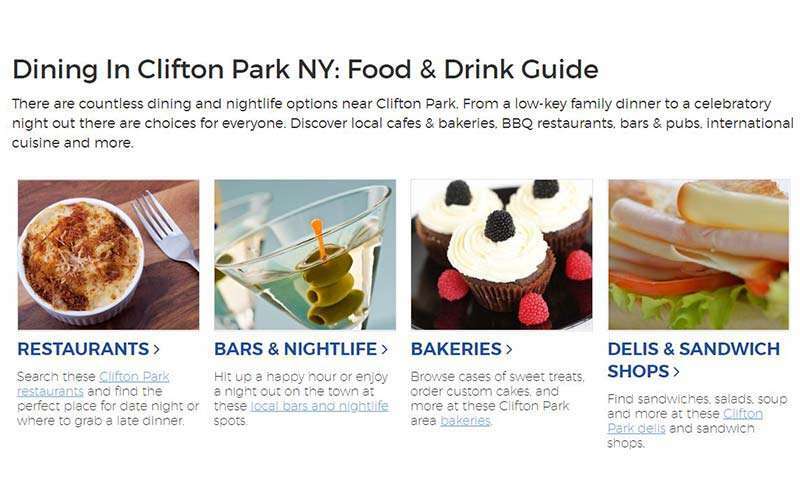 Your online guide to the Clifton Park area! 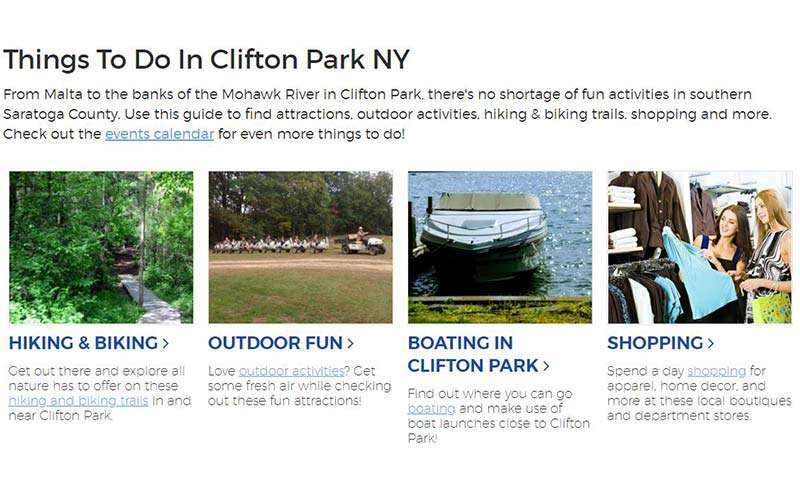 Whether you are planning to visit, thinking of moving, or already reside here, you've probably realized the incredible opportunities Clifton Park, NY has to offer. 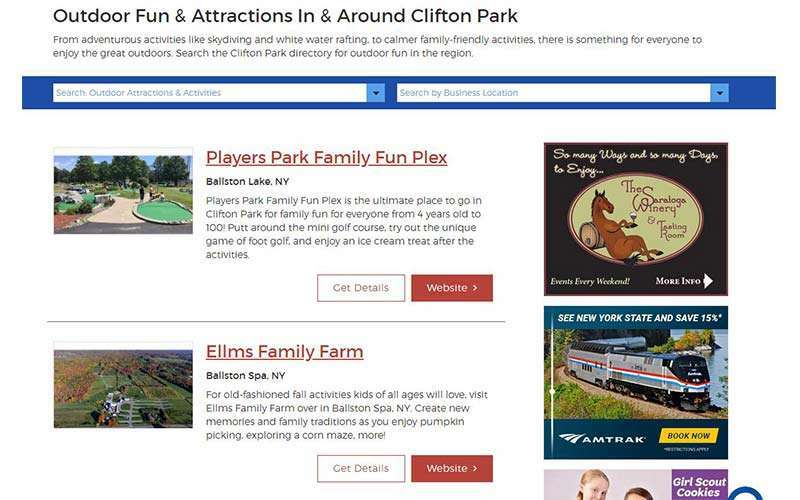 The town is home to a great mix of small businesses, places to see, and things to do, and many more adventures await in surrounding communities (Halfmoon, Ballston Spa, Malta, Mechanicville, and beyond). 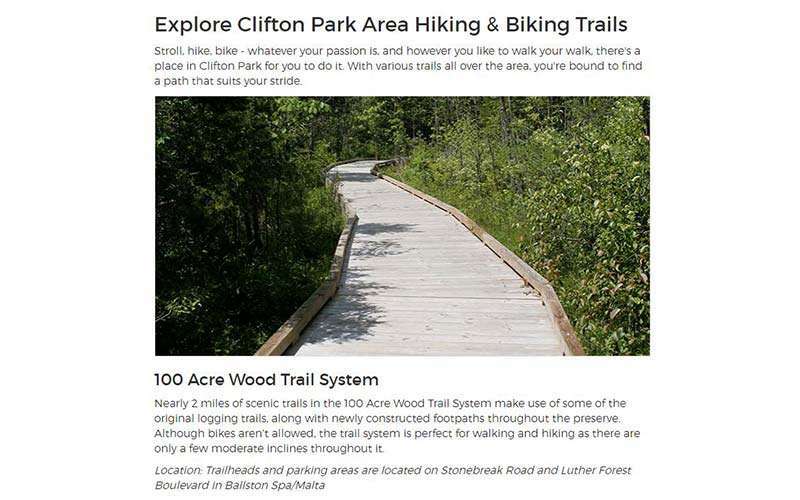 If you're interested in learning more about the region, then you've come to the right place. 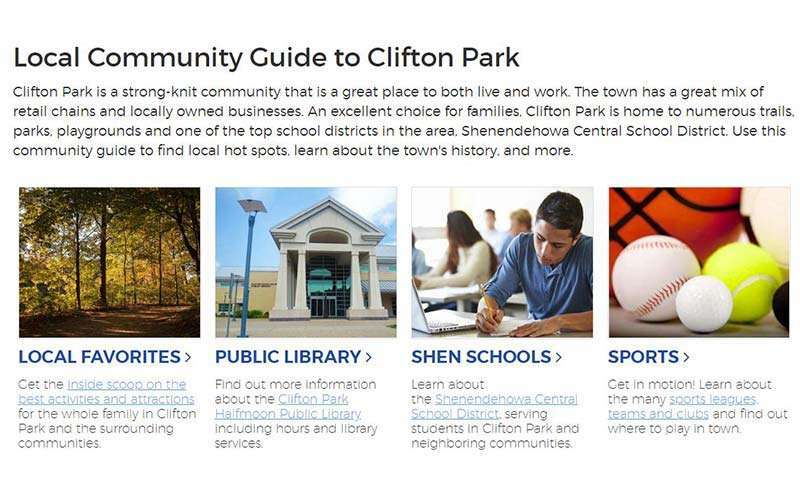 Everything you need to know about exploring Clifton Park is available in our online guide - CliftonPark.com. 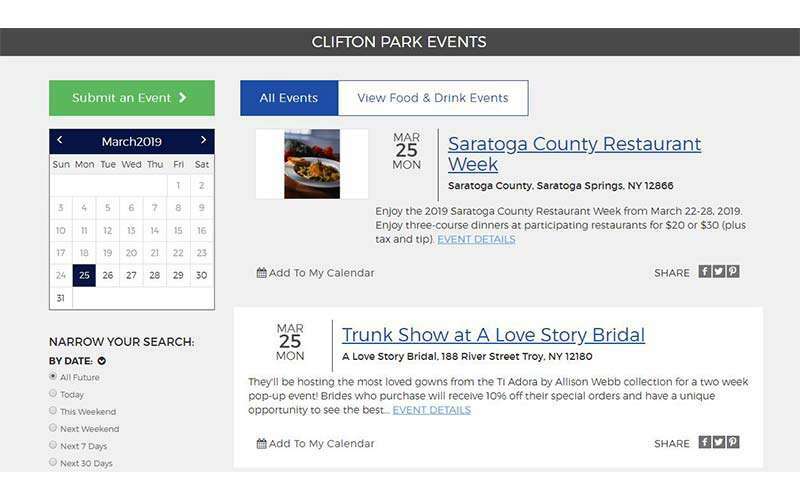 We've gathered information about the community's parks and attractions, highlighted local lodging properties and restaurants, and even created a calendar of local and regional events. 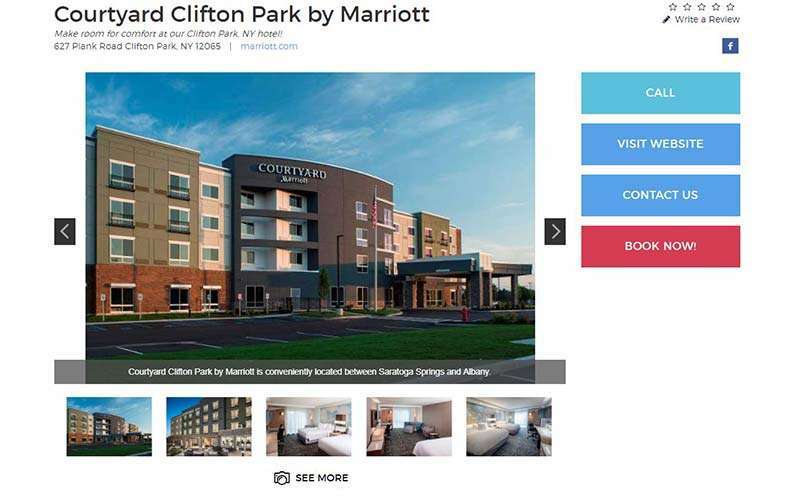 Plan an exciting day in Clifton Park by searching through our site today! 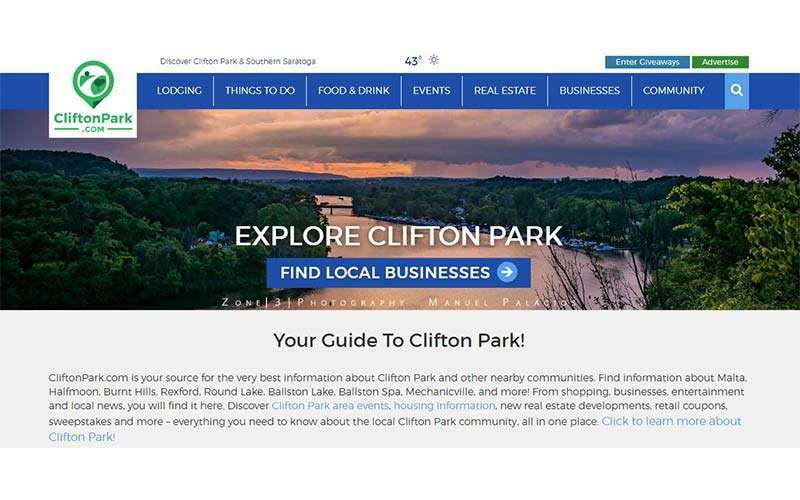 If you'd like to spread the word about your business in the Clifton Park area, then consider advertising on CliftonPark.com. 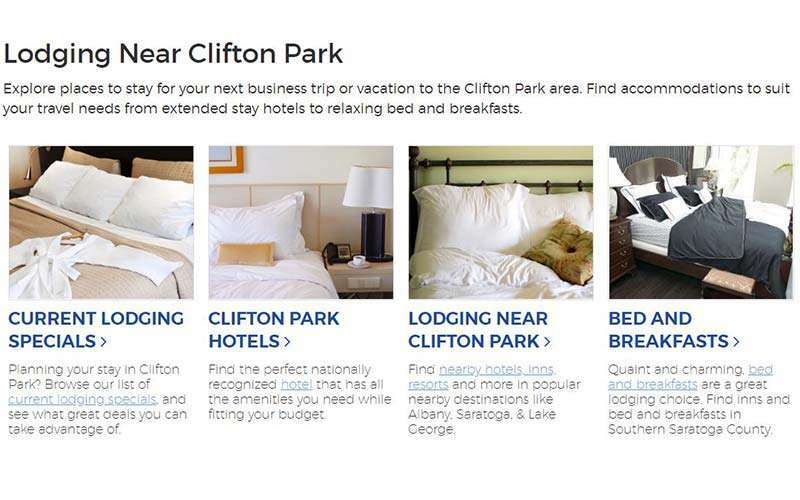 We offer a variety of advertising packages to help you get found online.